Why spend extra time in writing a business letter when you can do it in just a couple of minutes by using our templates? Business letters have to be very professionally written and one requires a specific format to follow. These business letter format examples not only tell you the structure a business letter should follow, but also tell you in what manner you should arrange the content of the letter. Check out the letter format examples given below. What are the Kinds of Business Letters? In the day to day operations of a business organization, a number of letters are written and received. These are classified based on the reason for which they are written and the requisition that they fulfill. It should be noted that the business letter formats may also vary based on their nature and purpose. The different types of business letters are as follows. 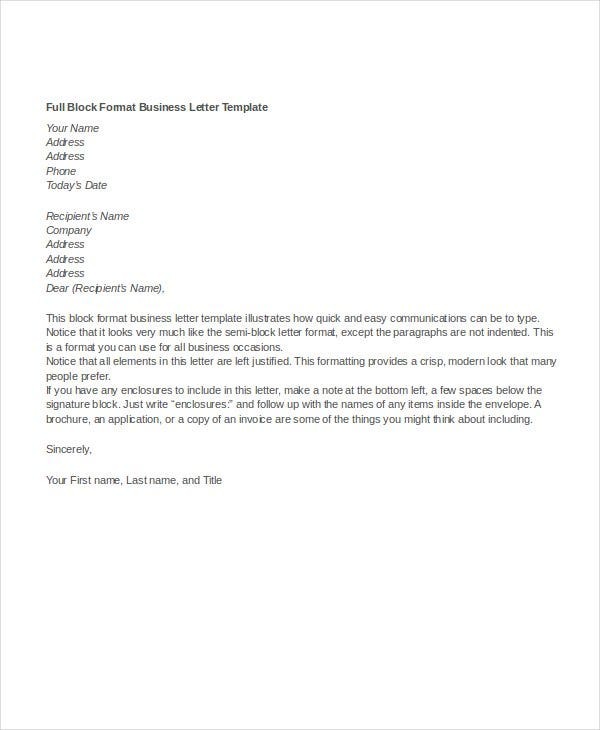 You can use the given format to write various kinds of formal business letters yourself. It has the standard format and you can make the best use of it. 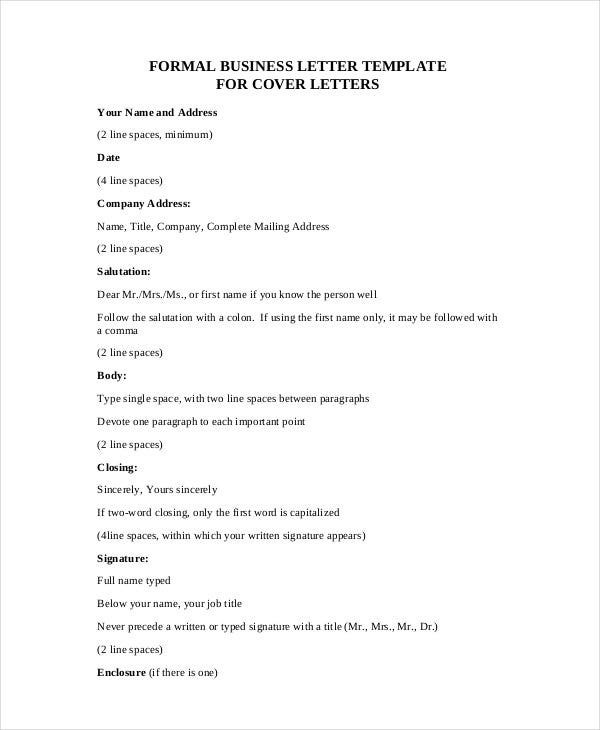 This is a business letter format example that can be directly used to write a cover letter by following the guidelines that are given in the template to write the letter. > Who can Use the Business Letter Format Examples? Business letter format examples can be made use of by anyone who needs to write a business letter. Different types of business letter format examples can be used for writing specific types of business letters. 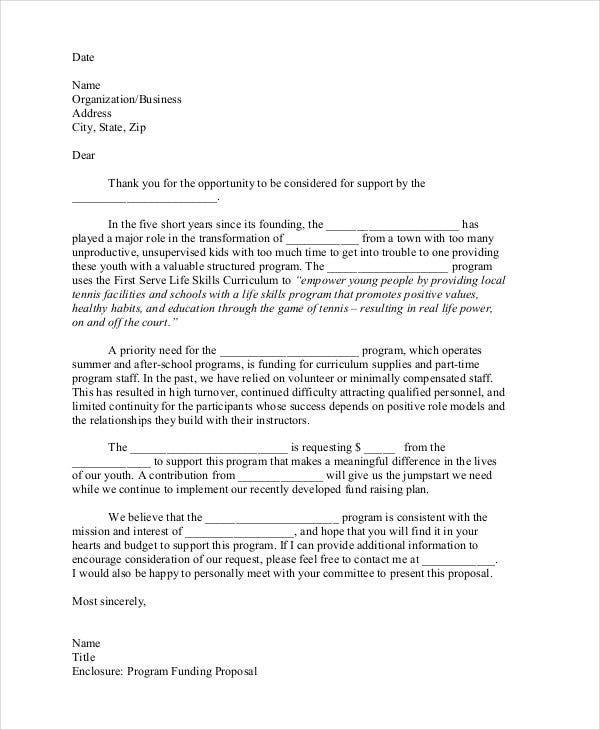 The proposal business letter format example can be used to write a business letter offering a business proposal to a company or organization or for requesting funding while offering perks for a particular event. 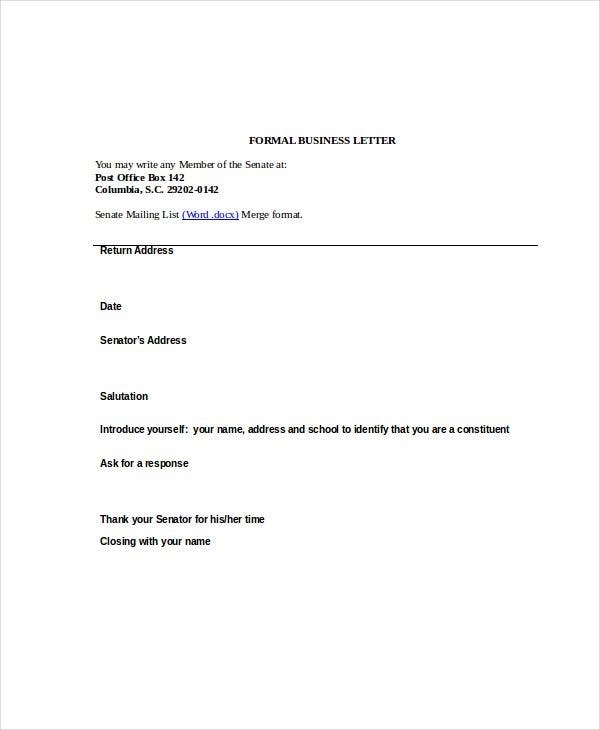 Formal business reference letter templates can be used when writing to a government agency or a government official asking for help or services. Rest of the examples can be used for writing various kinds of business letters. 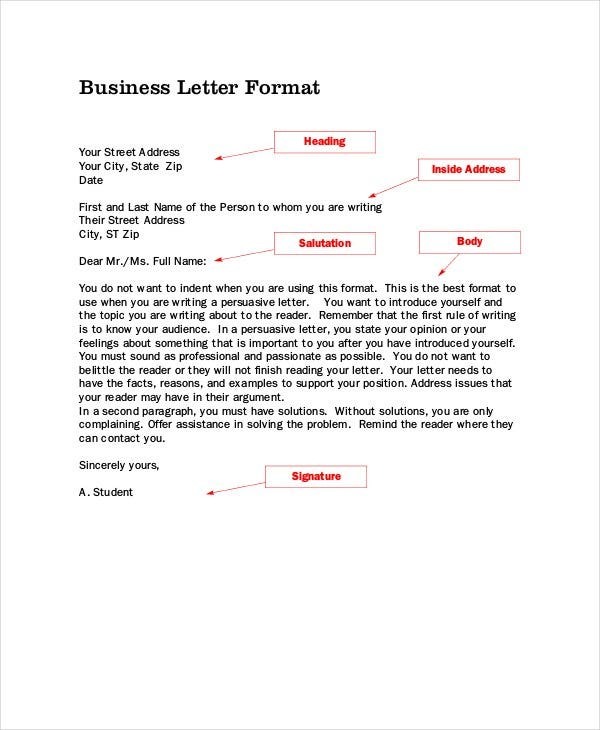 This is a business letter format example that explains in details about writing a business letter. You can make use of its format along with guidelines for different paragraphs of the body of the letter. 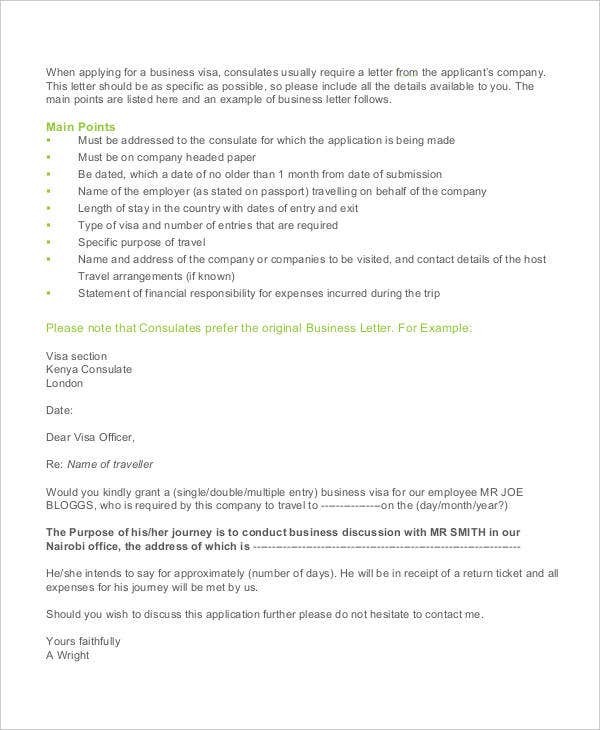 This is a very standard business letter format example which has useful instructions which you should follow to write a business letter. The instructions are clearly given for various parts of the letter. > How to Use the Business Letter Format Examples? Business letter format examples are usually sample letters. 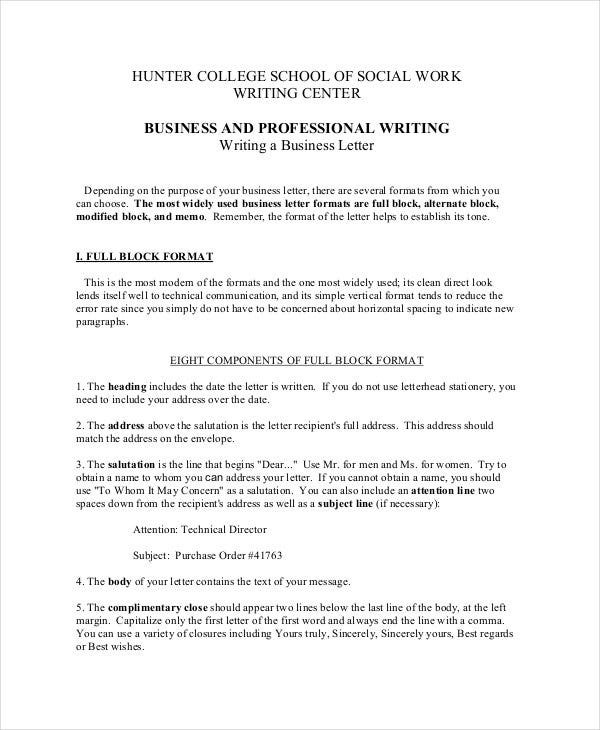 These sample letters can be studied to understand how to write a business letter. 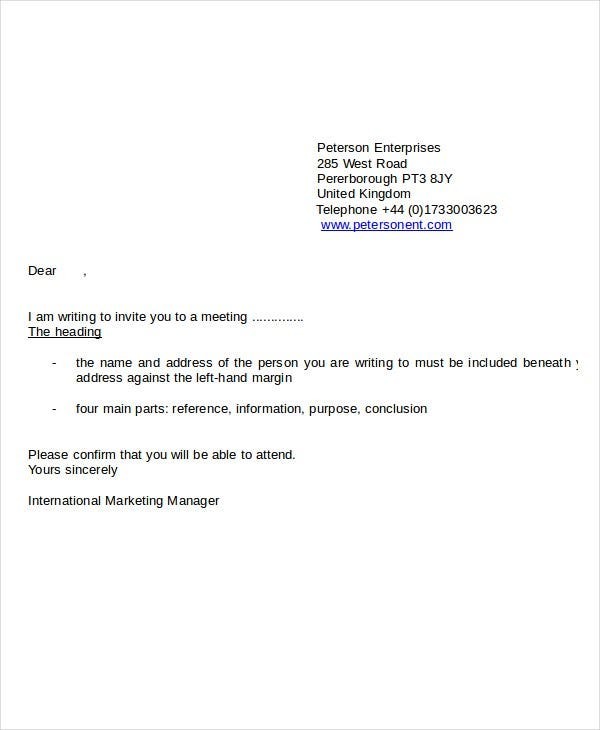 These samples tell you the format of a business letter- alignment, head, body and conclusion of the business letter. 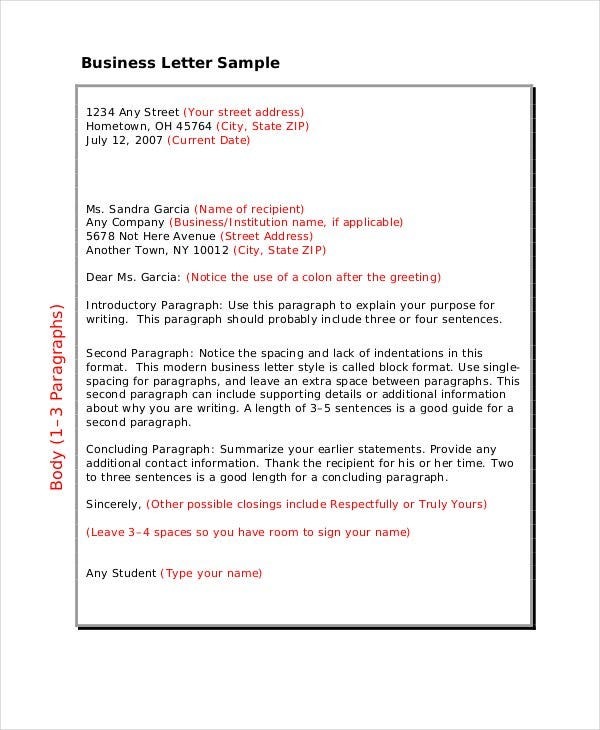 These samples tell you where and how to write the address, salutations, content, etc in a business letter in a proper way. 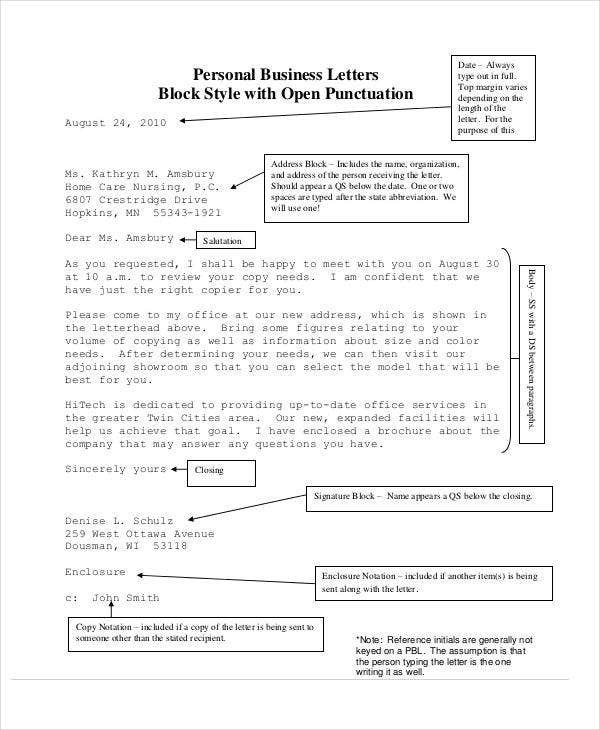 Some templates can be directly used to write a business letter by writing specific information in the clearly defined regions of the template. The business letter format examples are to be made use of depending on the types of templates they are. You can also see Letter Templates. In case you are not sure of how the business letter writing trends have changed in the modern times, don’t worry. Go ahead and check out this modern business letter format. This gives you an idea of how to write a business letter that is in sync with the modern times. With the help of this you can surely draft an impressive letter within no time. A business proposal letter should be written with a lot of care and should be give the details in such a way that it grabs the attention of the reader. However, it is equally important to pay attention to the format of the letter. The aforesaid business proposal letter in PDF format can be used for the purpose. This is sure to help the user write a perfect proposal letter. A person who wishes to write a business letter to an organization can make use of the personal business letter format for the purpose. This gives him a clear idea of the format to be followed when writing the letter. He also gets a picture of the various segments to be included when writing the letter and where to place them. 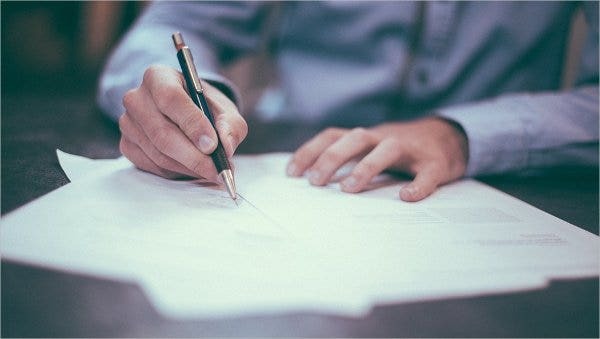 The structure of a business letter plays an important role when it comes to making an impression on the person receiving a letter. Thus it is very important to pay attention to the structure of a business letter. Here are the various categories to be included in order of their placement in the letter. 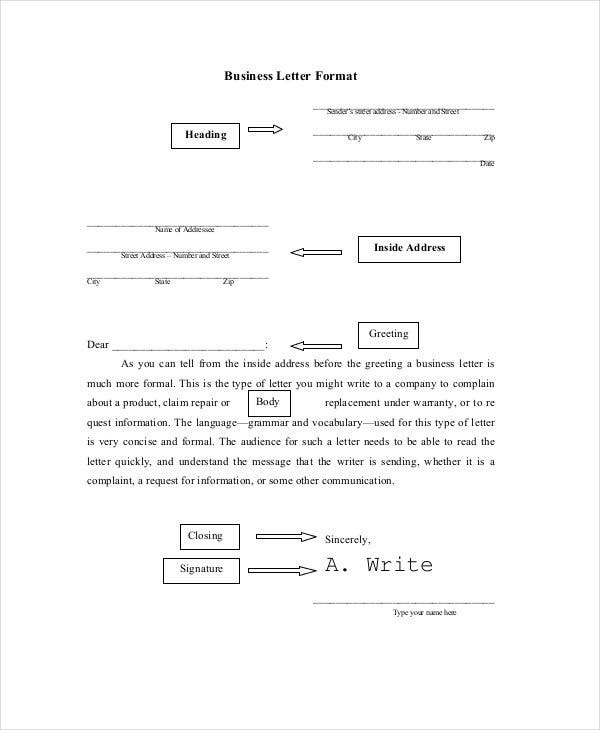 > What are the Benefits of Using a Business Letter Format Example? There are many benefits you will get should you choose to make use of business letter format examples for writing your own business letters. 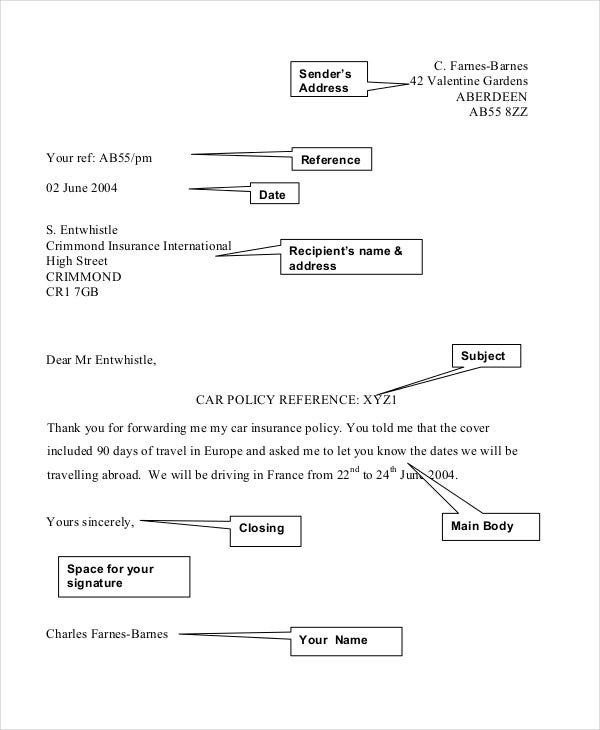 These examples give you a clear idea of how to write a business letter. These are extremely helpful especially for those who are not used to writing business letters. These examples tell you the proper format you should follow while writing a business letter. The guidelines in these examples also tell you what content should be written in specific paragraphs of the body of the business letter. The guidelines of these business letters are very easy to follow. Business templates and business reference letters are also helpful in writing various kinds of business letters. Business letter format examples consist of very well written business letters and if you choose to use them, you will surely be able to write very well drafted business letters on your own in a short time.